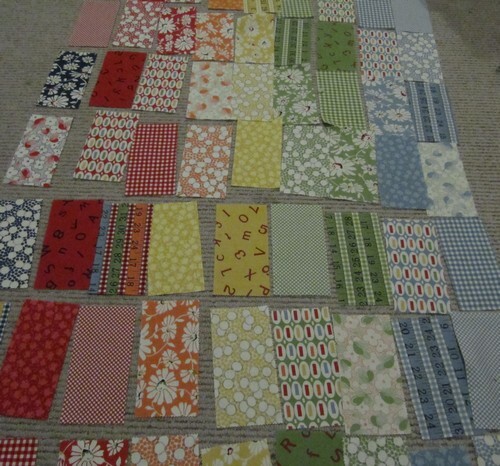 They’re rectangles* and therefore they aren’t going to make a square table topper unless I ditch quite a few and make it quite small…. I pondered. I thought about cutting them in half again, then realised just how much more sewing that meant and how much smaller they’d be once seams were in place… I decided to sleep on it. Much better! 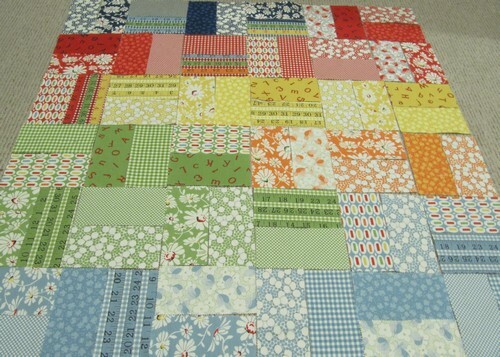 They’re squares again and the table topper itself will be square and big enough. I’m sleeping on this configuration and if I’m still happy with it tomorrow night I’ll start sewing. *now obviously I did realise I was cutting rectangles (let’s not question my IQ) but I didn’t realise how much of a mistake rectangles were until the arrangement of them began. Nice one! I do love a square.